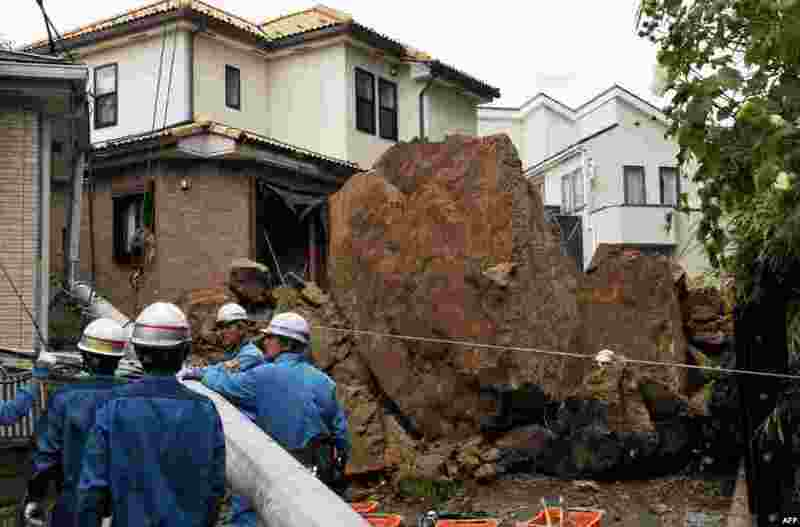 1 A house and an electric pole smashed by large rocks from a collapsed slope caused by heavy rain in Kamakura, suburban Tokyo. At least 17 people died as Typhoon Wipha, the "strongest in 10 years", passed close to Tokyo, causing landslides that swallowed houses. 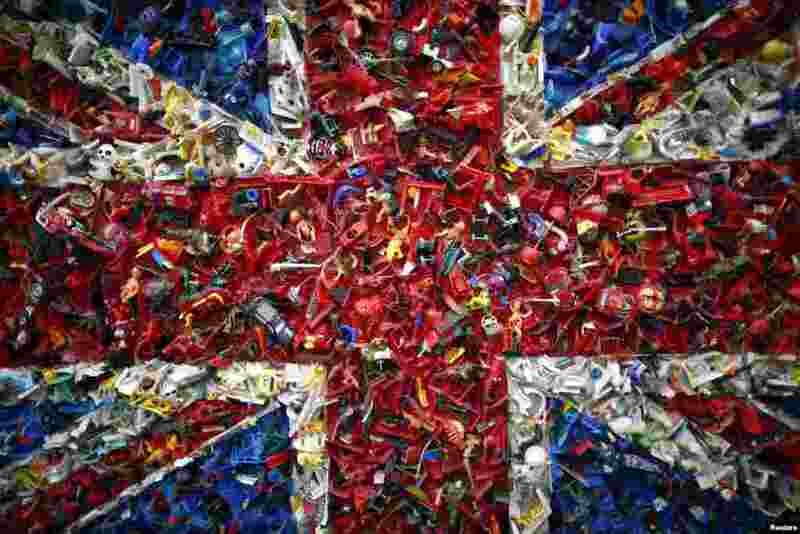 2 A detail of Willem Boshoff's "Flag" is seen at the Johannesburg-based Goodman Gallery's stand at the Frieze Art Fair in central London. 3 Wild Geese look for a place to land on a crowded farm field in Xanten, Germany. 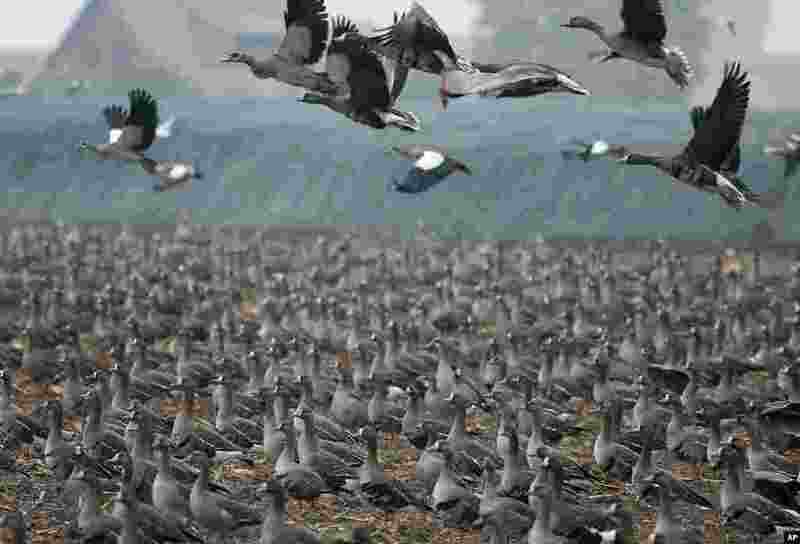 The wild geese flew over from Siberia to stay over winter time in the lower Rhine area with it's warmer continental climate. 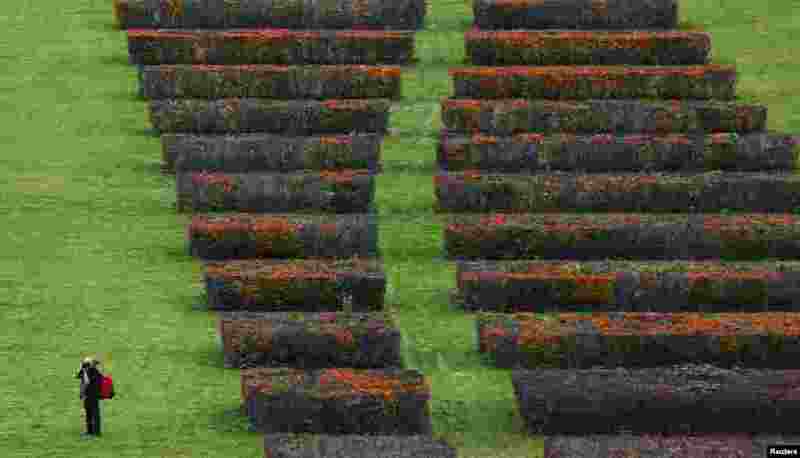 4 A person takes a picture as he walks through a public garden in Berlin, Germany.